Don’t let the joyful experience of becoming a parent be overshadowed by financial issues. Follow these tips to avoid money problems as a new parent. The moment you find out you're pregnant is a moment you'll never forget. Your heart fills with happiness and overflows with love for you and your growing family. It's also a time that brings worry, stress, and a lot of unknowns. Life as you know it will significantly change by having a baby. You're not alone in this momentous new stage of your life. It's easy to avoid getting bogged-down with stressors that new parents-to-be face, but it's important to have perspective and proper planning for your new bundle of joy. Babies bring more happiness and love than anyone can imagine, but they also are expensive. Unlike purchasing a new car or a timeshare at your favorite beach destination, a child is a lifelong expense. They require long-term care, from the moment you find out you're pregnant and step foot into your OBGYN's office until he or she is 18 or older. 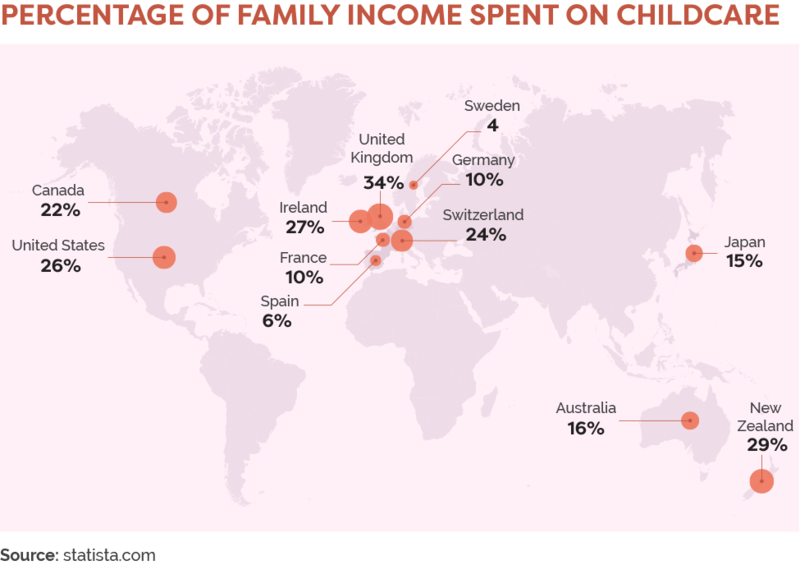 In your kid's lifetime, raising a child in the US will cost you around $233,000! That includes the cost of food, clothing, medical expenses, education, and more. There's no better time to start planning then right now. Grasping the costs your expanding family will face will help you in the long-run. It's much better to be prepared with proper planning than to be surprised with unexpected bills and various expenses time and time again. You expect it as a new parent, but what you might not know is parents living in urban areas pay thousands of dollars more annually than parents living in rural areas. From revising your budget to include your new kid's needs, anticipating how much paid and unpaid maternity (and paternity) leave you'll receive, to revamping your life insurance policy — prepping for the birth of a child is costly in both money and time. Here are some helpful tips to keep money-woes away as new parents, click below and start planning for your family's future. 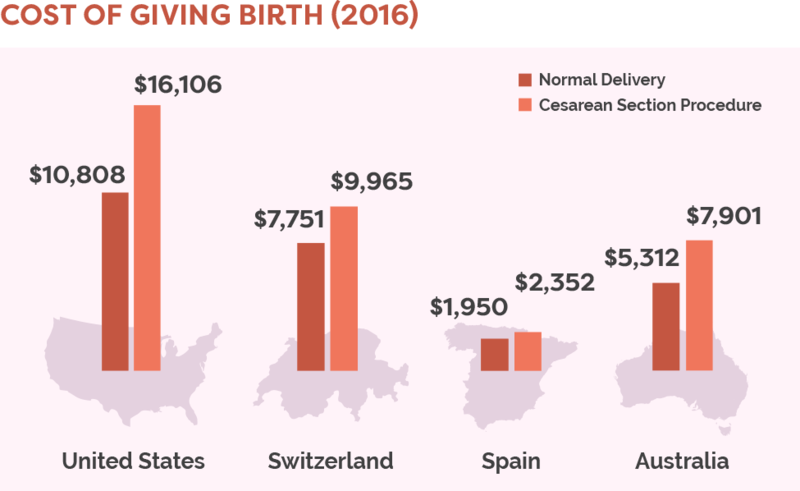 Giving birth without insurance will cost you. 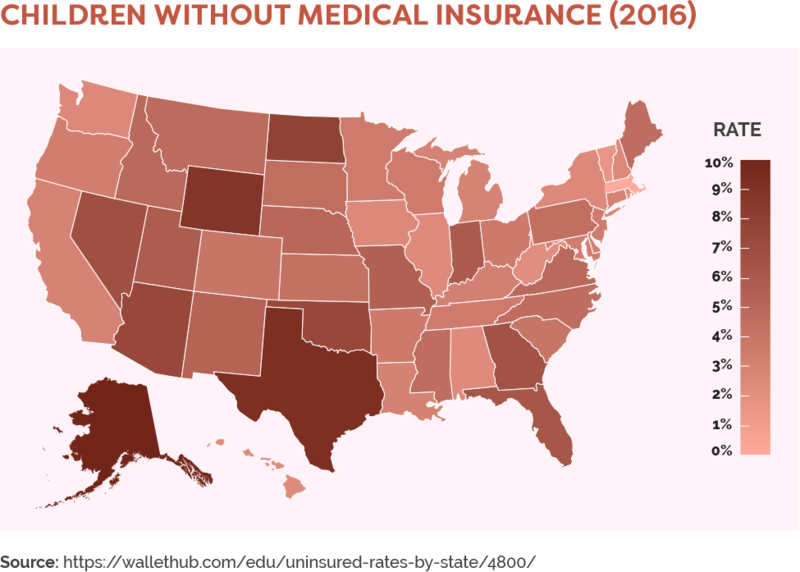 According to a report conducted by Truvan, the average cost of an uninsured childbirth ranges from $30,000-$50,000. The range is due to possible delivery complications, like your baby breeching and causing you to need to deliver via cesarean section. The method which you choose to give birth by also affects the cost. For example, many women choose to receive an epidural, which can cost over $1,000 without insurance. Health insurance will save you tens of thousands of dollars during your pregnancy. A study conducted by the Thomson Healthcare found that on average, the cost of giving birth with insurance cost the parents $8,802. If you do not have insurance through work, see if you are eligible for a plan through the Affordable Care Act, or if there are options outside of the marketplace. Review your policy to see what is covered. One area you want to be sure is covered is what type of provider you can see for prenatal care. You may want to continue seeing your family physician, switch to an obstetrician/gynecologist, or find a new nurse-midwife. Make sure you're covered to make the switch if you decide to. If you have any questions, you can call your health insurance provider. The contact number is on the back of your health insurance card if you have one (if not, look on your provider's website). Another great option is to utilize the human resources department at your office if you're covered through your employer. Prior to the birth of your kids, you don't have anyone dependent on your income for their survival. So it's time to look into life insurance policies. "With life insurance, you can't buy your way to financial freedom, but at least you can buy your loved one's way," writes financial blogger, Financial Samurai. A life insurance policy will establish a payable-on-death account, which is like a bank account that is paid to your child when their parent passes away. If your child is set to inherit the family home or any other assets, life insurance can help cover inheritance tax that they will need to pay on these assets. Term life insurance has a fixed term. This plan covers a person for a fixed period of time, during which you pay a fixed annual or monthly premium. It pays out a benefit if you pass away during this time period. The pro for term life is that it is cheaper than whole life insurance. Instead of putting your cash towards insurance, it can go towards other important things that parents need to think about, like an emergency fund or school tuition account. The con for term life is that you're just paying for a service. When you buy whole life insurance, you're depositing money into an account you'll gain access to much later. Wholelife insuranceis technically infinite. This plan doesn't have a set time period and is effective as long as you pay your policy's premiums. It's more expensive but accumulates a cash value that grows over time. The pro for whole life is: Besides buying life insurance, you're putting money into an investment you'll get back later. The con is: Beyond costing more than term life insurance, the rate of return (like the interest that the policy grows for you) is often much less than if you put that cash into a diversified investment account, which is NOT hard to do today. Obviously, if you don't have any dependents or spouses, you don't need life insurance. Like searching for health insurance policies, when looking at life insurance, it is best to seek advice from the professionals. Find an agent and figure out a plan that works best for you based on your assets and income. One of the most important steps you can take as a new parent is making a budget. Whether you modify an existing budget or create one for the first time, you will be setting yourself up for success. It can cost a fortune. A budget will help you prepare for paying upcoming costs you'll need to consider. 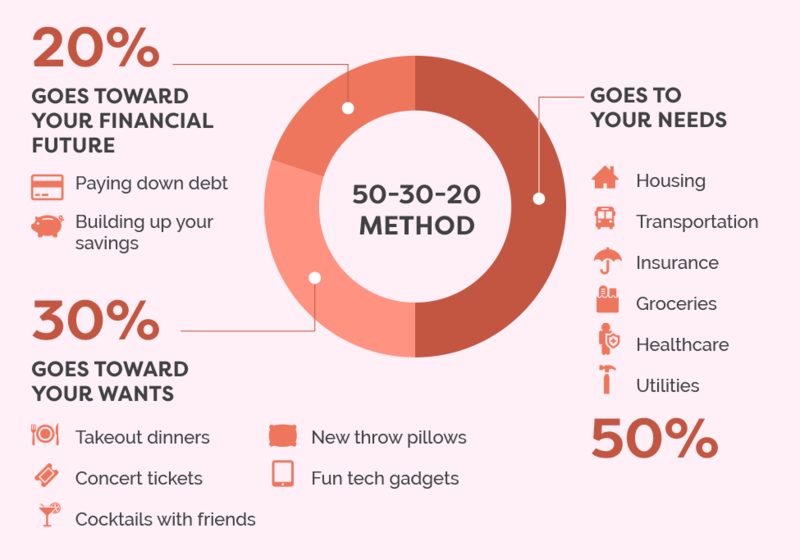 A helpful budget strategy, even for those that have never budgeted for, is the 50/30/20 rule. It's simple to put into action and basically asks you to divide your spending into three groups, which allow you to track how much you're spending per group. Analyze you and your spouse's income. This is a very important step because under The Family and Medical Leave act of 1993, parents are eligible for 12 weeks of unpaid time off during the first year of your child's life. The key here is "unpaid." You may find that your maternity leave is paid in-full, or that halfway through your 12 weeks of leave you are only paid a percentage of your income. That means planning is vital. Many employers offer paid maternity leave. The duration of time off and the amount of your income vary. But if you find yourself in labor early, your maternity leave might take a hit. When my wife and I had our first child, we went into labor expecting to have about 8 weeks of recovery. However, after almost a day of labor, our son was born via emergency c-section and the recovery time changed dramatically. Be sure to have a firm financial grasp on how much income your family will be bringing in during your leave. If your baby comes early, like ours, having a grasp on your income and paid (or unpaid) time off will keep your focus on your family rather than your finances. 50% of your total income is to be spent on your living needs. As a new parent, your essentials are going to vary more than when you didn't have anyone dependent on you. Some new essentials you'll incur as new parents include: childcare, formula, diapers, baby wipes, clothes (they don't stop growing), bottles, pacifiers, medical care and more. Some items are one-time purchases, but essential to your baby's life. 20% of your income should be spent on saving. In this case, you'll find your saving goals will divert to include your growing family. Saving is critical because in addition to starting a college fund, you will also be faced with unexpected expenses, whether it be taking an unexpected (possibly unpaid) sick day to care when your son gets chicken pox, or hiring a babysitter when your daughter gets sick. You never know what type of expenses will pop-up as you grow your family, and it's much better to be prepared than not. 30% of your total income is discretionary spending. New parents will need to include things like toys, books, swaddles, etc. into their discretionary spending. Babies grow quickly, which means outgrowing clothing and shoes every few months, and books and toys now too easy for their developing brains. In order to help your baby develop properly, it is important to give them the right tools at each stage. Before, your discretionary spending might have been focused on social activities with friends, date-nights, vacations, and more. 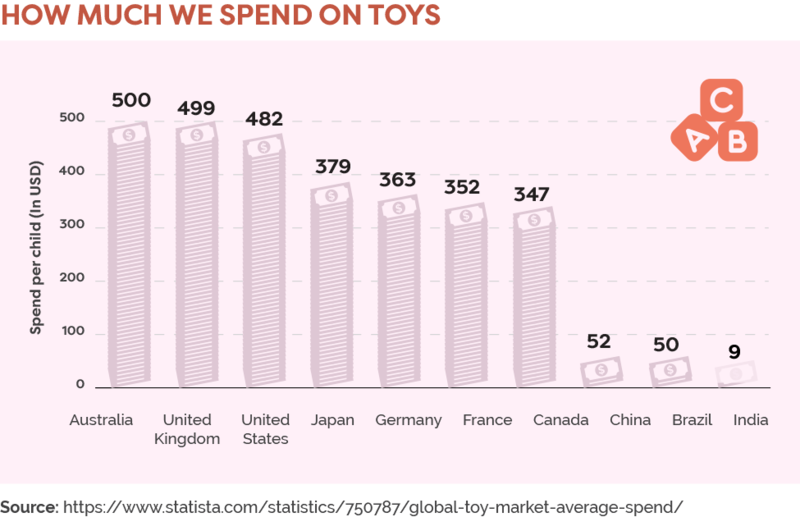 Now, you'll find yourself reevaluating your discretionary spending to focus on your new little one. Financial counselor and mother, Kumiko, of The Budget Mom blog, shares a strategy that helps her monitor her finances called the envelope method. This budgeting trick is similar to the 50/20/30 technique in that it forces you to put a fixed amount of cash for different categories into a physical envelope. You only can spend the cash in the envelope for that category, which forces you to save. Thanks to technology, sticking to a budget is easier than ever. You can monitor your income, spending, saving, and expenses easily in the palm of your hand. Mint is the best all-around digital tool out there. This free and easy to use app allows you to create a budget and manage your spending. You create three categories i.e. Needs, Saving, Discretionary, for example, and Mint will allow you to automatically connect those expenses to the categories. Then, you can easily see where your money is going and make adjustments i.e. eat out less, next month. Good Budget is the envelope method reimagined digitally. This app implements the envelope method electronically. It tracks your account balances and automatically sets aside the funds to your designated electronic "envelopes." It even can sync with your spouse so you can share your budget between devices! You can't prepare if you can't plan. If you don't know where you're spending your money and how much you're earning, then you can't take the financial steps critical to becoming a financially responsible parent. How can you move $125 a month to cover diapers if you don't know where to look? You will find that as soon as you welcome a child into your family, your saving and spending change dramatically. As new parents, it's hard to grasp every little detail of a newborn child's life. You are their caregiver and their life-provider. But all of that providing and caring can get extremely costly extremely quickly. For example, diapers cost around $600 a year per child. Assuming your child is potty trained around three years old, that's over $1,500 on diapers alone! 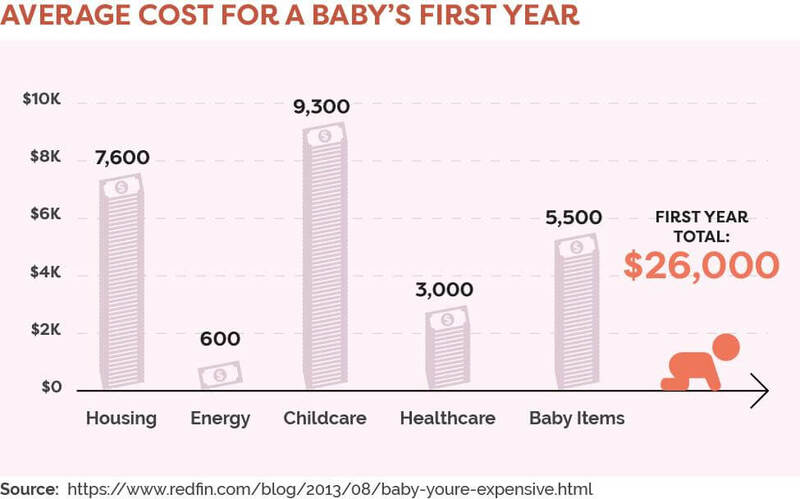 Here's a breakdown of themonthly costs of raising a baby;from David Weliver over at the Money Under 30 blog. He broke down some after his personal experience. You might not have an extra $1,500 lying around now for diapers. There are ways to save so you can put money towards things you'll need. You won't have a lot of time for leisure and hours in front of the tube anyway once your baby is born. Canceling cable can save you on average of $70 a month. That's $800 a year toward the baby diaper fund, giving you a surplus of $200 a year for other categories! Plus, wouldn't you rather your child to grow up a bookworm than a screen addict? Learn to cook and eat leftovers. A family of 2 spends over $2,600 a year dining out. You can get way more groceries than meals for that amount at a grocery store than in a restaurant. If your meal yields leftovers, eating leftovers can save you up to $1,700 annually, according to financial blogger, Len Penzo. By cooking from home, and eating leftovers, you can save thousands that you can then apply to savings for necessities, emergencies, and your child's college fund. Install a programmable thermostat. Help the environment, ensure your home is a comfortable temperature for your newborn, and save upwards of $180 a year by installing a programmable thermostat. Buy used baby items. Second-hand stores, thrift shops, garage sales, and your girlfriends (or for the dads out there — boyfriends!) can be a great help when saving some extra cash. Babies grow quickly and many people donate their gently used baby clothes to the nearest mom-and-pop outlet. Ask around your circle of friends or moms you meet for clothes their child has outgrown. Save hundreds of dollars on clothes, and pay it forward by donating to other new moms after you. After your precious maternity and paternity leave is over, you must figure out how you want to care for your child when you are away at work. Start the search early and take time to go over your options. Childcare is tricky depending on where you live, and it's best to start the search months before your baby is born. People often wait years for daycare, preschool, and kindergarten openings. When it comes to the types of options out there, don't just assume the traditional daycare is best. Beyond that option, there's in-home care, private nannies, nanny share programs (more affordable than private care), and family that will help (your mom might work for free!). Set up a childcare savings account. And make sure you do it the moment you know you are pregnant. If you implement the 50/20/30 rule above, then you have allocated 20% of your income to savings. Put that amount of your savings into a separate savings account specifically for childcare starting with your next paycheck and in the months following the birth of your baby you will already have substantial savings to pay for this costly care. Take the time to interview and visit your provider. Seeing what the facility looks like and how the providers act with other children is the most important test to make sure you're leaving your kid in good hands. Beyond that, fill out applications, and do all the necessary registration before your child is born. With 3.9 million newborns born in 2015 alone, you could find yourself struggling to find affordable childcare that meets your standards of care. It's important to give yourself time to make these huge decisions. You don't want the added stress of not having childcare lined up for your infant. You don't want to struggle to afford the best care for your new baby. Life is full unforeseen circumstances. Your child might complain of not feeling well one night and wake up the next morning with chicken pox. You will notice that your emergency situations will differ greatly and probably increase with the addition of a child to your family. Only 48% of Americans can afford an emergency costing $400, according to a survey by the US Federal Reserve. That's a dismal amount when it comes to all of the family emergencies and the rising costs of raising kids. From a family emergency that sends your new family on a cross-country plane trip, or requires you to hire an emergency sitter for the weekend. You can't always anticipate what the day will bring, which is why setting up a separate savings account for unforeseen circumstances, known as an emergency fund, is so important. The less you spend, the more you save. Increasing your savings will help you set aside $1,000 for your emergency baby fund quicker, as will these tips below. Pay your emergency fund monthly. If you practice regularly trimming your non-essential spending, you'll continue to have money to put into this account. Pay it like a bill, monthly. It will grow much quicker this way. Use any extra savings for youremergency fund. You shouldn't neglect your regular savings account or neglect your other financial goals. By cutting spending in other categories, you'll find you will have additional income (other than your 20% for saving toward your financial goals) to deposit into your emergency fund. We've got you covered on more helpful tips on setting up an emergency fund. The less you spend, the more you save. Increasing savings will help you set aside $1,000 for an emergency baby fund. This is a good place to start so you don't find yourself stressed and worrying about how you will pay your ER bill for your sick newborn or the last-minute babysitter when your baby's chicken pox keep him from daycare for a day or two. The average American household has $16,000 in credit card debt. This is a hefty sum of money to owe and will feel magnified by all the new expenses you face as a new parent. Paying off any existing credit card debt will save you thousands in interest long-term. When you are mapping out your finances, paying extra credit card payments each month can really deter you from saving and being prepared for expenses your growing family will face. That's where the snowball method comes in. To pay off any amount of credit card debt, a helpful method of debt repayment is the snowball method. Take the smallest of your credit card debt and pay that aggressively before any of your other credit cards. Be sure to pay the minimum on the others as missing payments will cost you late fees and hurt your credit score! After you tackle the smallest credit card, you'll eliminate those payments and be able to focus on the next smallest of your debts. One by one, you'll eliminate interest-bearing debt and free up your lines so you can use these cards in the event of emergencies if you haven't money in your emergency fund. At first, you might find setting up an emergency fund impossible to budget for. This is where credit cards can come in handy. Since emergencies are just that — not planned — having available lines of credit can help you and your family in a pinch. Your credit card should be there to help you.You will always have important expenses and uses for your available income, so when unforeseen situations pop-up, having a plan B (like a credit card) can spare you a lot of misery. There are risks when you use a credit card in an emergency situation. You risk accruing interest on a balance you can't pay off immediately. You will inevitably pay some interest of course, but how much depends on what you spend and how long it takes you to pay off your balance. For example, let's say you're faced with an emergency situation that costs you $500 at 16% APR. If you chose to pay $50 a month toward that debt, it would take you 12 months and cost you an additional $40 in interest. If you chose to pay even less, say $25 a month, it would take you 2 years and cost you $85 in interest — or more than double the amount. An even bigger risk of swiping your card for emergency situations is that it can become easier for you to continue swiping your card for secondary emergencies until you find yourself in even worse debt. Getting out of debt while growing your family will require tact and hard work. With methods like the debt snowball method, and prompt payments if you use your credit card for emergencies, you are on your way to a better financial future. As you can see, there are so many different expenses to plan for once you find out you're expecting. As a new parent, you will thank yourself in 18 years if you start planning for your child's future in their infancy. Not all parents will bear the responsibility of giving their child a fully-funded college education. 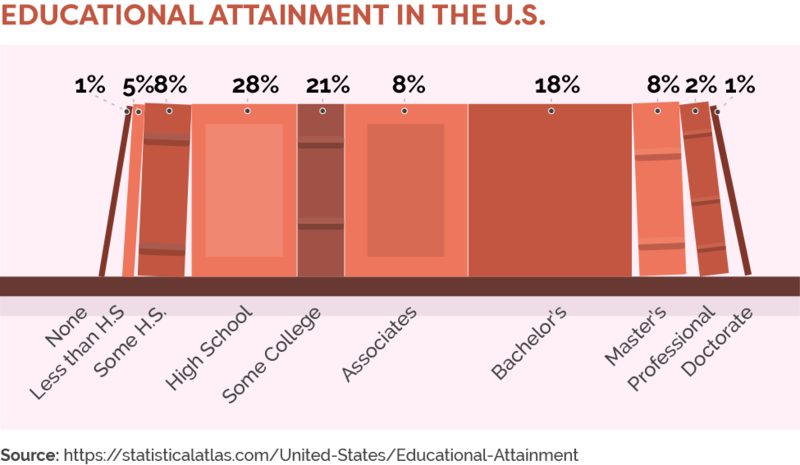 With the average student owing more than $28,000 in student debt, many families are understandably not fully funding their child's degree. 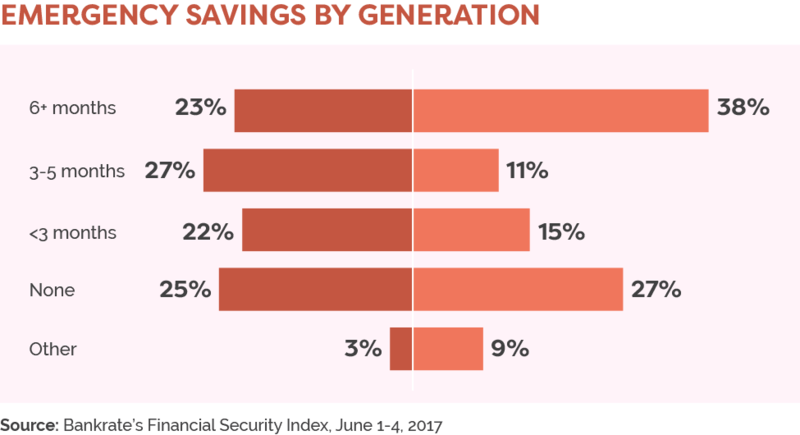 But by growing a savings plan for your son or daughter's college education now, you can help them not bare that heavy financial burden when they're just getting on their own two feet later in life. 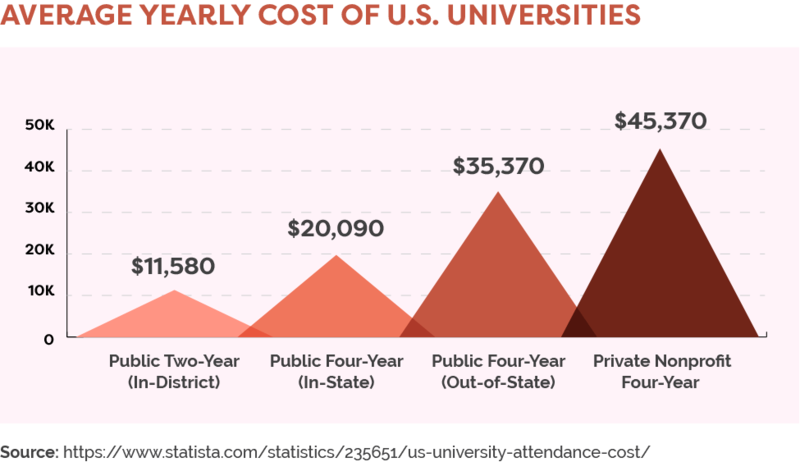 Consider is investing in a 529 plan. This plan allows you to create a college savings fund that the beneficiary can withdraw from with no penalty or tax. 529 plans can also be set up for direct tuition payment, where you pay for your credit hours directly from the account. Any family can create a 529 plan. You simply apply for one and deposit as little as $25 into the account. Some states don't even require a minimum amount to open one. You own the account and name your child as the beneficiary. Then you choose a purpose for the account (college, tuition, room, board, books, etc.) and decide an age at which the money can be accessed. The folks at the Smart About Money blog recommend saving earlier because with interest rates take time to work their magic. "Save what you can, when you can. Save $100 a month when your child is born (at 6 percent annual interest) and your investment could grow to $38,200 by your child's 18th birthday." Start saving what you can and you will be thanking yourself in the year 2035. Health insurance will save you tens of thousands of dollars. A study conducted by the Thomson Healthcare found that on average, the cost of giving birth with insurance cost the parents $8,802. Without insurance, it could cost you $30,000-$50,000. If you're not insured, look at the open marketplace. Your first option is to try for insurance through your employer. But if there's no offer there, check the list of suppliers the government can connect you with. Consider life insurance and get enough coverage. Your policy should pay out enough to cover 15 years worth of your income. That means if you make $50,000 per year, get a policy worth $750,000. Download a free budgeting app to implement the 50/20/30 method. Thanks to technology, sticking to a budget is easier than ever. And with an all-around digital tool like Mint, you can monitor your income, spending, saving, and expenses easily. Start the search for childcare early. In fact, it's best to start the search months before your baby is even born. And consider non-traditional options — like in-home care, private nannies, nanny share programs (more affordable than private care), and family that will help (your mom might work for free!). Use the snowball method to jumpstart your debt repayment plan. Take the smallest of your credit card debts and pay that aggressively before any of your other credit cards. Be sure to pay the minimum on the others as missing payments will cost you late fees and hurt your credit score! Ride that new parent high to future savings.Enjoy your milestones and all the happiness surrounding your new bundle of joy by preparing for their needs. Avoid the added stress of money-worries by implementing saving strategies when you can. At the end of the day you want a happy and healthy baby and to be a happy and healthy parent. Save the stress for other areas of life and keep it out of your growing family. With proper organization, you can set your family up for success and have more moments to cherish your baby without financial woes scratching at the door. Who knows, once you get the hang of this new parent thing, you might find yourself welcoming baby number two. Have you faced any money problems as a new parent that you didn't see coming? Have any tips for budgeting new baby expenses?